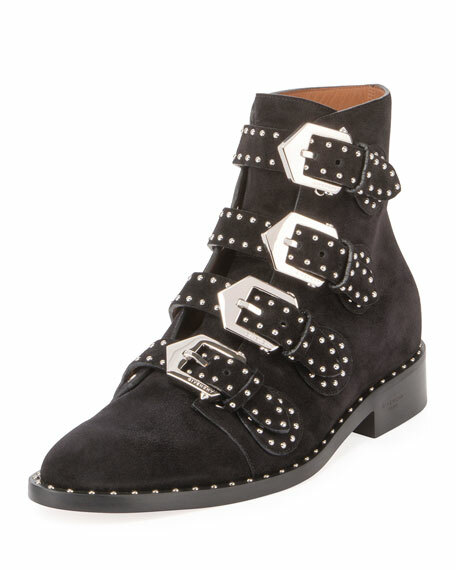 Givenchy suede ankle boot with allover silvertone studs. 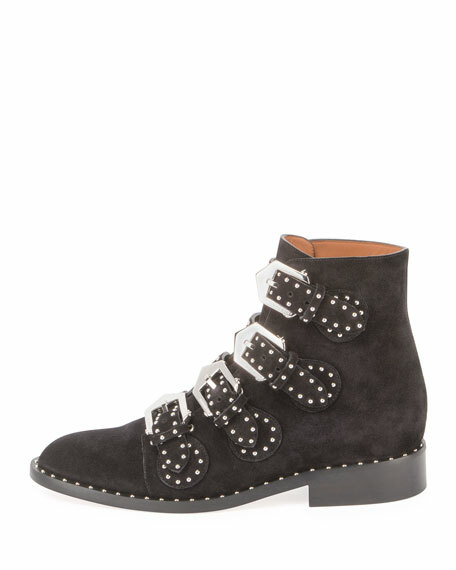 1" stacked block heel; 5"H shaft. For in-store inquiries, use sku #2276897.